One of the questions we get a lot around here is how to find an awesome rehab contractor for your fix-and-flip deals. Or even to handle the renovations for your rental deals. Now, most of you know that Patrick and I prefer wholesale deals more often than not. But we’ve each had our share of experiences with rehabs. 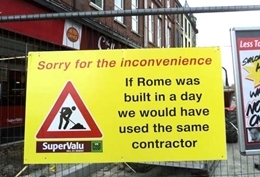 When you’re in this business, it’s always going to come up from time to time that you’ll need to hire a contractor. My #1 way to find any team member is by referrals. I love referrals. It just helps weed out the bad eggs. This is far and away the best way that both of us have found our best contractors. These are referrals from other real estate investors… These will be investors who’re willing to share their contact information for a contractor who has worked well for them. Many times, the person who’s in charge of your local REIA club acts almost like the hub of all the activities. That individual can refer you to a lot of good contacts. Networking is hugely important in this business, and it can lead you to the best investor-friendly contractors out there. This will include local Realtors who specialize in the small niche where your property is located. Let’s say you have a house in a specific zip code that you’re going to rehab, and there’s one agent whose signs are all over the neighborhood… he eats, sleeps, and breathes that neighborhood. That’s the local experienced marketing expert that you’re looking for. This is not the new Realtor who’s hungry and will offer to do anything to get your business. You’re looking for the one who’s experienced in your neighborhood. They often have relationships with contractors that they use on a regular basis and are willing to make those referrals. Obviously, this is just another part of networking. When you’re out driving around the neighborhoods, and you see where someone is fixing up a house – it doesn’t even have to be an investor – stop and talk to the workers. Find out what they do and who they’re working for. I can attest to the success of this tip, because I have absolutely done this. When you’re just out driving the neighborhoods and see the activity – stop, ask questions, get information and develop a relationship. It works! There’s nothing unethical about this because they’re just out there working. Try it and see. So you head out to Home Depot and wait at the contractor’s desk with a box of donuts. There you can strike up a conversation with contractors and develop contacts. (And hand out the donuts of course.) It’s a great way to win favor with these hard-working individuals. And while I’ve not tried this, I’ve heard this works with paint stores as well. Contractors might need to hit the paint store early in the morning before starting work, so you could catch them there was well. I mentioned your local REIA group in Tip #1. This tip can also apply to that group. Your local REIA may have members who are vendors who pay a sponsor-level membership so they can advertise. Oftentimes there’ll be contractors who’re one of these sponsors. They’re there specifically because they also are looking to make business contacts. So that could be a great starting point as well. Check it out and see what’s popping at your local REIA. 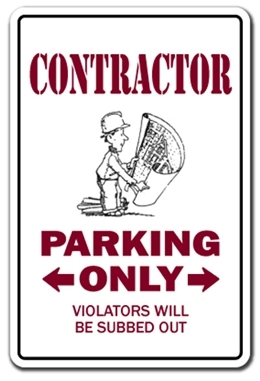 Your contractor may be right there! These are businesses that care about their Angie’s List reputation, because good ratings on this site can convert in to healthy business growth. I used to have a subscription to the List and used it regularly, so I know this is a great place to find your rehab contractors. You can at least browse the site and see what’s cooking there. It’s easy to do a localized search. Every investor knows that getting a bad contractor can quickly eat up time and money – and in this business, loss of time and money can be the difference between making a profit on a deal and barely breaking even. It’s not worth it to take chances on this member of your team. But if you follow these 6 tips, you should be on safe ground as you move forward in your investing business. 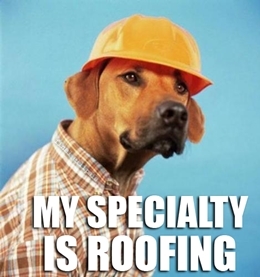 Tell us how you’ve found your contractors. What worked; what didn’t work so well. We’d love to hear from you!